Buying a home is one of the biggest purchases most individuals will make in their lifetime. With such an important decision comes excitement, nervousness, and of course, stress! Is this the right home for you? What will the neighbourhood look like in 10, 20, or 30 years? Did you pick the right mortgage options? Throw in the additional considerations required when it comes to buying a condo, and you’ve got a perfect recipe for sleepless nights and anxiety-ridden days. It’s important to take the time to ensure all your bases are covered when buying a condo, especially when it comes to some of the more complicated and nuanced processes – such as the dreaded condo document review. When you’re buying your condo, there’s a good chance that you’ve spent lots of time looking over every square inch of your prospective new home – examining water lines, foundations, window fittings, and more. However, you’re buying into a lot more than just the building itself when you purchase a condo – and that’s where it becomes critical to give the relevant condo documents a close and thorough inspection. A proper condo doc review will provide you with insight into the overall health of the condo building, particularly in looking at the financial documents and the Reserve Fund Study. By studying and reviewing these documents, you’ll be able to get an idea about the future of your potential new home: how stable the complex’s financial outlook is, how smart or undisciplined the spending might be, and whether the planned expenditures add up and look to be sustainable. Going into a purchase without this information is like getting behind the wheel of a car blindfolded – you could be headed towards serious trouble! Properly reviewing these documents will save you money, and prevent you from landing in a sticky situation due to misrepresentation – either intentionally or otherwise. Knowing that a condo’s Reserve Fund Study adds up means the difference between major complex-wide repairs happening in a timely and professional manner, and being stuck in a position where your home could be at risk because there aren’t enough funds to take care of routine maintenance throughout the complex. Don’t gamble on your investment – take the time to get a proper condo document review before signing anything! You’ll want to set the wheels in motion once the mortgage has been approved. It’s always helpful to include a period for document review within the offer contract – typically 7-10 business days should be more than enough time for document collection, review, and finding presentation. The more documents you’re able to gather, the better! A good place to start is by collecting by-laws, plans, operating budget, statements, insurance certificates, titles, financials, meeting minutes, and Reserve Fund Studies. The board of your future condo should have no trouble providing all of these papers to you / your Realtor, with ease. To make things easier for you, ask if these are provided digitally in an online shared location, such as Dropbox. 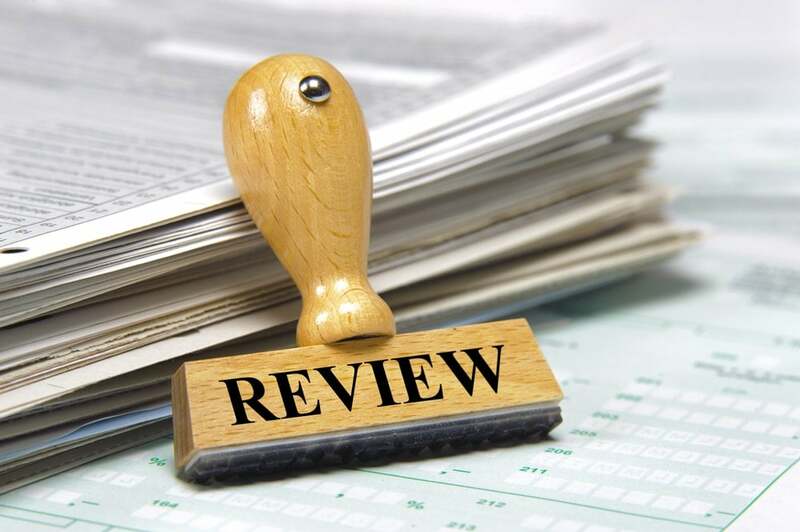 The findings of the document review should shortly be made available to you through an Executive Summary, which will include a review of financials, an evaluation of reserve fund studies, and details of our findings overall. Don’t settle for just an email and a summary! Schedule a time to go over the findings and to discuss the positive and negative details of the review. Any big red flags, such as self-governed condos or a Reserve Fund Studies that doesn’t add up, should be immediately brought to your attention, accompanied by an explanation as to why these details are particularly concerning, from a financial standpoint. Condo document reviews are largely driven and handled by Realtors, but it’s a good idea to take an active role in the process – it’s your future home, after all! If you’re interested in getting a condo document review done before you walk into your new home, we’d be happy to provide this service to you for just $350* – a far cry from the industry-standard charge of $500! Contact us at Catalyst Condo Management today, and we’ll be happy to help make sure your big purchase is an informed one, made with confidence and clarity!